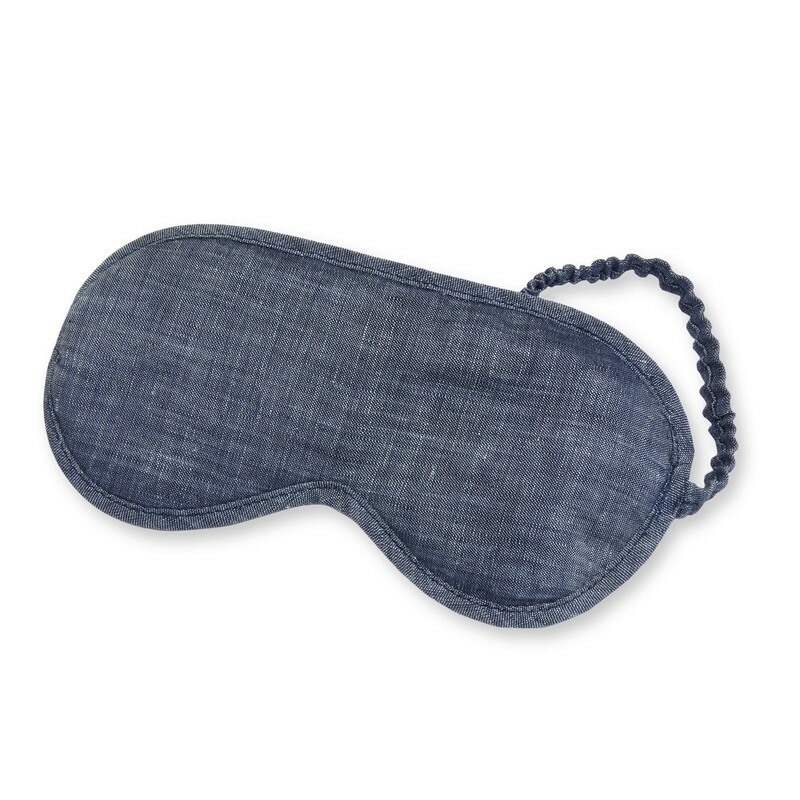 In a plane, on a long haul flight, when sleeping is a good idea to fight boredom and stillness. Or, when sleeping is a necessity in order to meet your client in good shape. 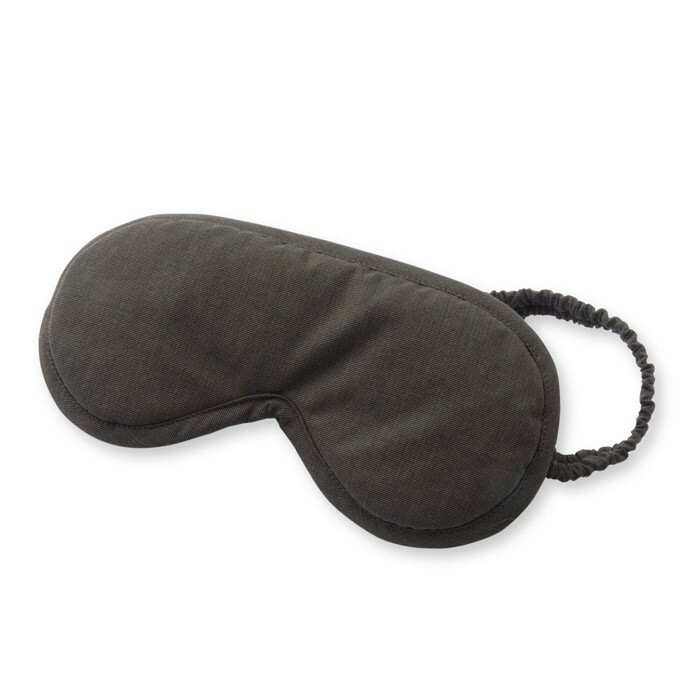 This is an essential condition for a restful sleep: you must sleep in pitch-black. And yet you frequently forget to draw the curtains or close the shutters. Or you like to drift to sleep whilst watching the stars. 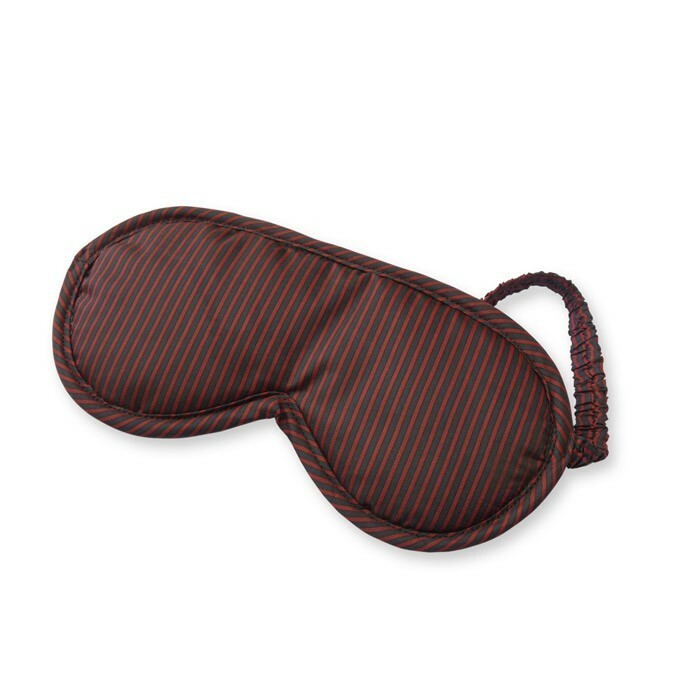 You are an aficionado of 20 min express but restful siestas at the office. You recline the back of your chair and relax with your legs on your desk. You are attempting to sleep but your partner has not finished reading. Despite the efforts made to find a non-disturbing lighting system, impossible for you to get to sleep! You suffer from migraines like a lot of people, and what's more you show signs of photophobia (sensitivity to light). You like to laugh and have a good time. Playing is a wonderful distraction and you especially appreciate playing blind man's bluff with your partner or your friends. 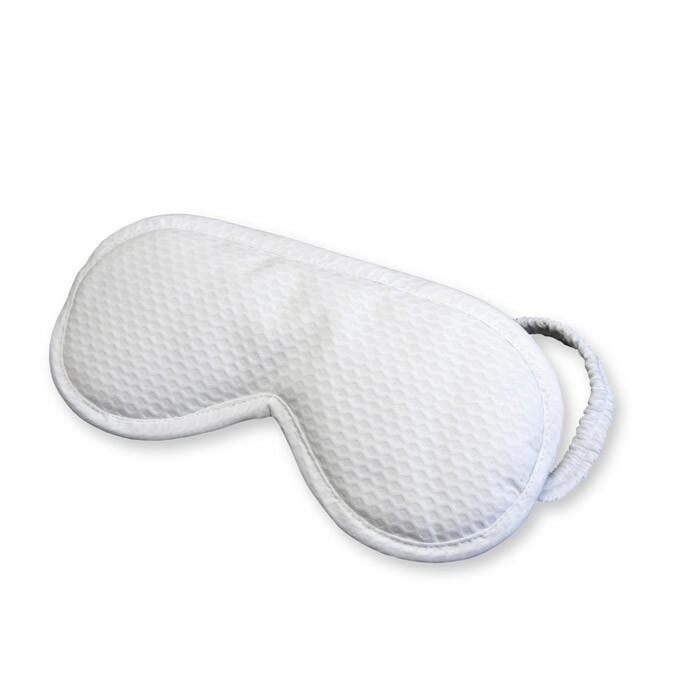 This luxurious version of the sleep mask available on long haul flights was designed for maximum comfort, optimal efficiency and an ultra-chic appearance, at home or travelling, but also to give as a present. 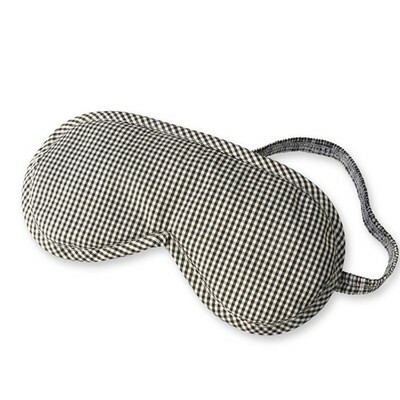 ultra-chic - so much sleeping beauty... it will be as elegant on your eyes as placed on your bedside table. In its stamped gift box, it will also cause a sensation. 4 models for everyone's taste - white (white) and dark grey (charcoal) to fit any occasion, navy blue and burgundy stripes (club) always chic and fashionable, and smileys (smile) for the most daring.